Somewhere out there is your piece of the marketplace. Where your customers want to do business with you not your competitors. Marketing research is a vital source of knowledge for many aspects of marketing decision making, including helping you understand your best fit. Marketing research provides marketing intelligence on the entire market place, not least your competitors. Don’t ignore your competition. Instead get to know them well. 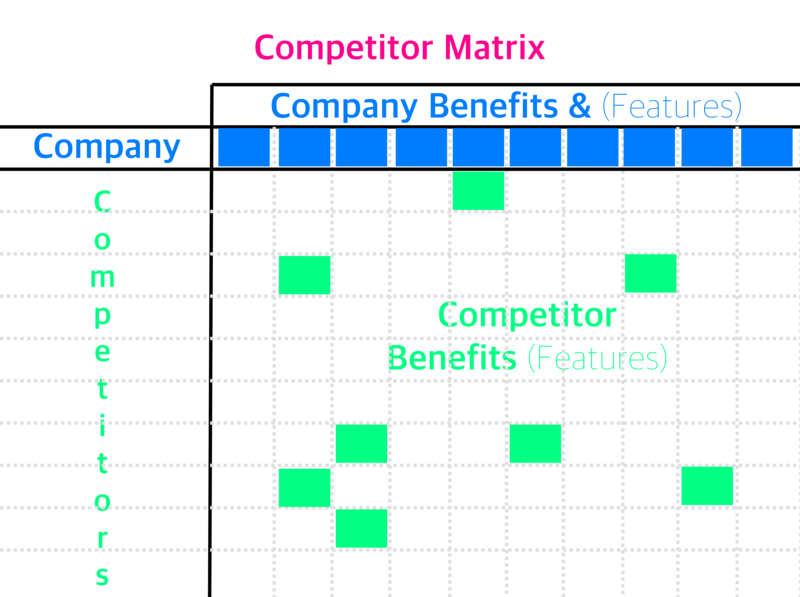 I find a competitor matrix particularly useful. It orders competitor benefits and compares their benefits with your own. This allows you to not only see at a glance where you fit into the competitive arena. It also allows you to identify key customer needs you might have otherwise overlooked. For a good value proposition, you’re looking for points of differentiation and you won’t find them unless you look at your competition. A good value proposition will also resonate with your customer. Truly meaning something to them, making them sit up, think and ultimately buy. Not an easy proposition to develop but a difficult one to argue with.